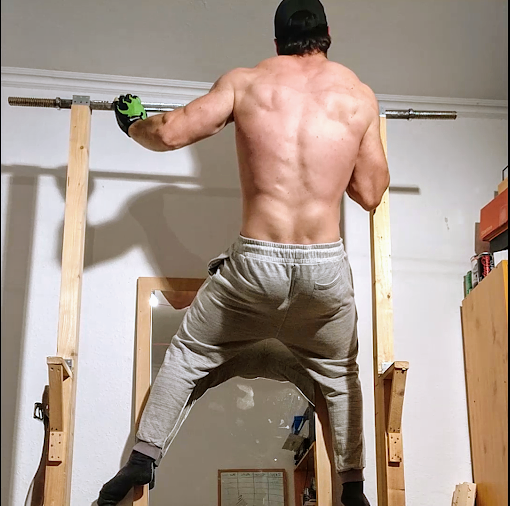 Home / Beast / Beast Workout: Pull-Ups & Bench Press! Beast Workout: Pull-Ups & Bench Press! Nobody trains harder than the Beast! His intensity is unmatched and he does it all alone with no spotter! Watch as he shows you how he builds his enormous pecs, strong back & delts! His legendary strength is INCREDIBLE! He suspends his weight and has full control of his body as he does a series of pull-up variations that you have to see in order to believe! You can see every muscle and striation pop out in his back & delts as he pulls up! The MASSIVE pecs get even more pumped as he does a BRUTAL set of bench presses and chest flys! Video also contains lots of muscle flexing as he gets worked up from all of the savagery and cannot help but to show off his AMAZING muscles! Full video is almost 44 minutes long and in HD! !The direct link for your download will be in a txt-File which you can download after your order, you see this file directly after your order on the same Page AND get it also via EMAIL after your order!